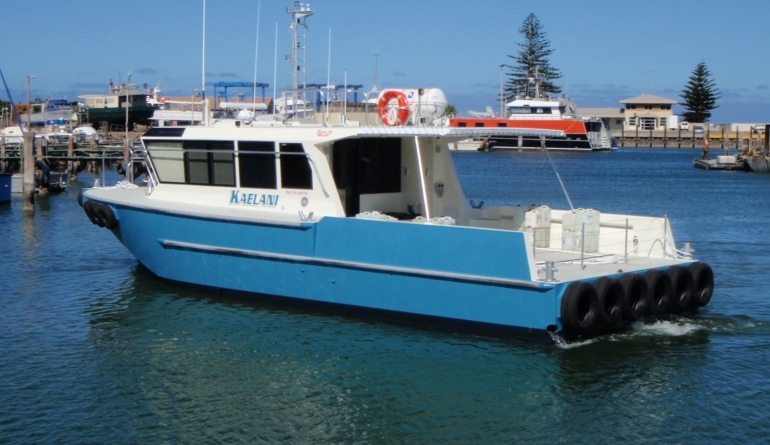 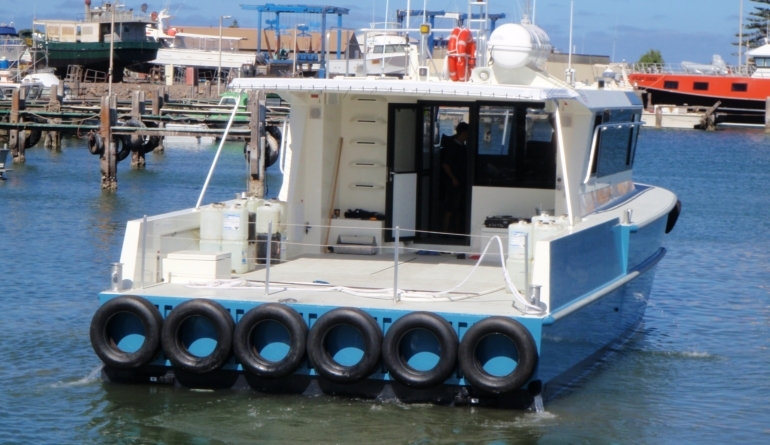 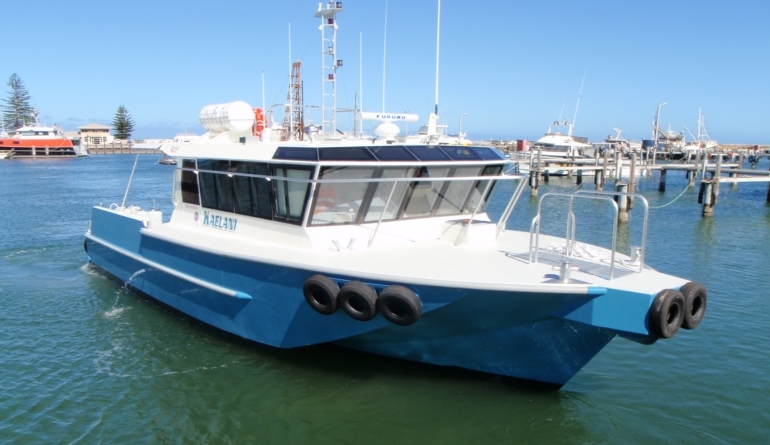 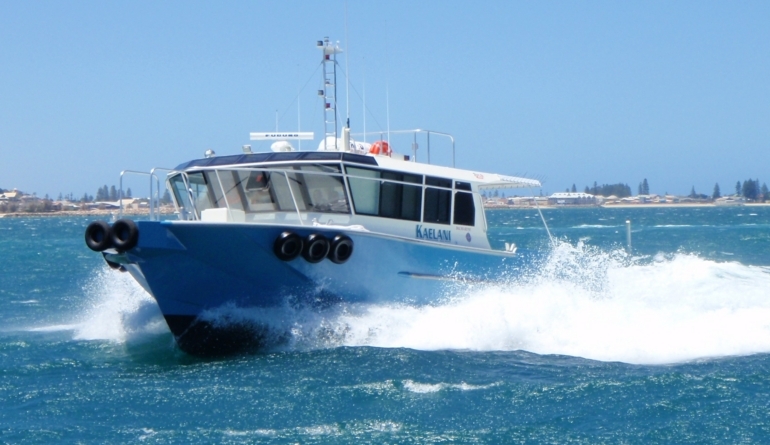 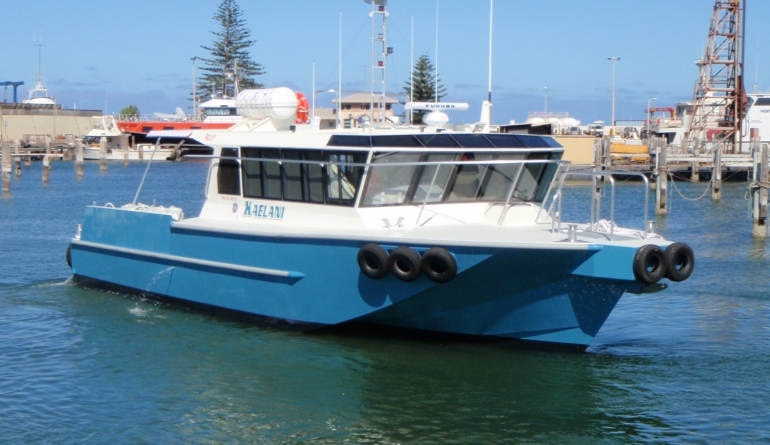 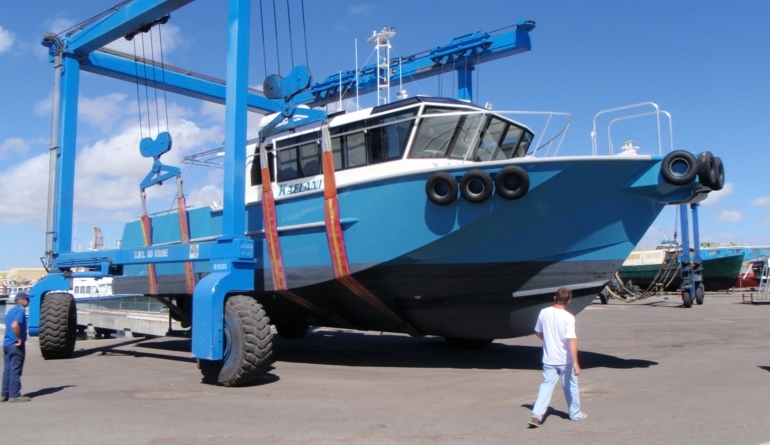 “Kaelani” was custom designed for Dalmarine (Now owned by Bhagwan Marine) and complimented the existing Dalmarine fleet of 3 x 10 metre Air Rider Crew Transfer Vessels (“Jilly B”, “Mystery”, Elyse”). 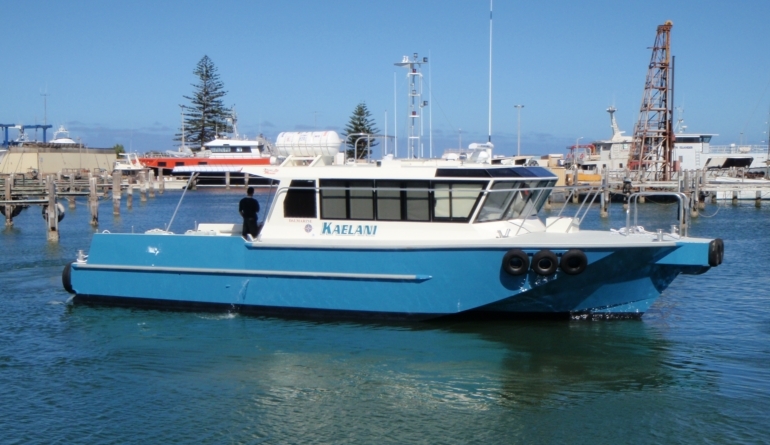 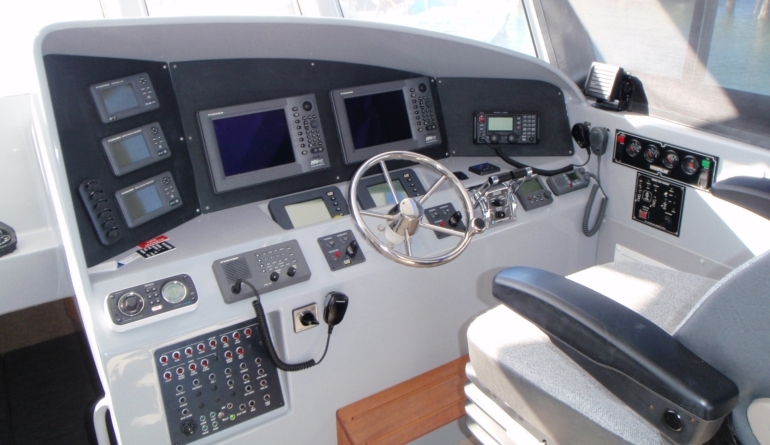 “Kaelani” is one serious vessel with multi role capabilities servicing the Oil and Gas industry. 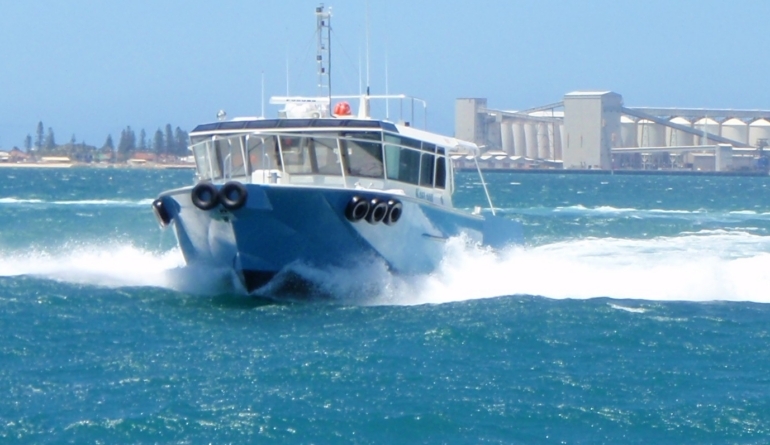 With a sprint speed of 26+ Knots and the capability to carry several tonnes of cargo on the reinforced aft deck, this is a true rough water vessel of outstanding ability. 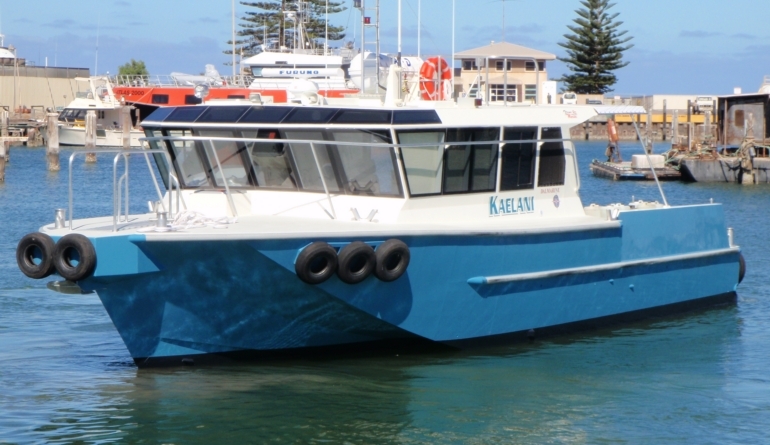 Whilst not a particularly fast Air Rider, the “Kaelanai” is a good solid performer delivering reliable service.